My family is thinking of taking a vacation this winter and would like to go somewhere warm. We have looked at Fort Myers, Fort Lauderdale and Key West. Have also considered the carribean such as Cancun, Bahamas and Jamaica. We are open to anything but have to keep in mind we have small children. 9, 6 and 1 year old children will be on this trip along with 5 adults. 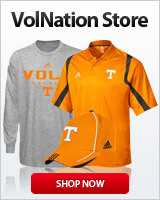 Volnation, help me out here. I wouldn't go to Jamaica unless you are staying at a resort and don't leave. That's what basically everyone tells me. I just went to Costa Rica and it was awesome and reasonable. We went Caribbean side. I just talked to a preacher friend earlier today who just got back from Costa Rica. He said it was nice. Been to Jamaica about 10 years ago and didn't leave the resort. Would you say Costa Rica is kid friendly? Also, we are thinking al inclusive if we go carribean. I love George Town exuma Bahamas. Prettiest water I've ever seen. Virgin Islands aren't too shabby. I stayed on St. Thomas a few years back. Don't take your kids to Key West. Grand Cayman is beautiful. Warm, pretty blue water. Have you thought of taking a cruise? Best vacation I've ever been on. Keep in mind when you look at the per person price that both food and lodging are included. We were considering Destin for a week and the cruise overall ended up being only a bit more. I went to Costa Rica for my honeymoon and we had an awesome time. People do go with children but it's not exactly geared toward kids. Disney is great but really expensive. for a family of four is $1,920-2,160 extra worth it for that little bit of time away from the kids? You will have to be with them a bit. IMO, no. We went to a rastafarian city (puerto viejo talamanca - most southeastern part of country) and didn't spend much time elsewhere. I think other places are supposed to be kid friendly but idk firsthand. I have a friend who vacations in Aruba sometimes. They do all inclusive there. Have some other friends who like to go to Turks and Caicos sometimes. Either require passports for everyone since they are out of country. Most US airlines require a passport for re-entry from The Bahamas as well. If you are considering going international you should start the passport process now if you haven't already. What about fort Myers, Fort Lauderdale, Sarasota? Telluride, about as warm and far south as I'll get in the winter. Sarasota is very nice. We actually head up that way and vacation often. Siesta Key area is beautiful and you can't beat the beaches. Lots of malls, eating, shopping, activities within a half hour drive. Lauderdale is great as well but is geared more towards adults IMO. Honestly depends on what you want to do. Someone else said Marco (which is also amazing), there just isn't a lot to do on the island. Boca Grande is great for fishing. Agree with volfan about Sarasota. Great place with some of the best beaches you'll find anywhere. Siesta Key, Lido Key, Longboat Key and Anna Maria all have nice beaches. The snowbirds are all here in the winter so it can be a busy time to visit, but weather is nice. It's not super hot (usually) and doesn't get very cold. I think average temps are around 70. You'll also avoid rainy season. Rented a house in Cape Coral a few years back for a week . Four bedrooms three bath and a screened in pool. The house was on a canal with a dock and boat lift. We rented a boat for the week and took daily boat trips to restaurants, and Sanibel/Captiva. Total price back then was less than 3k for the house and boat rental. One of my favorite vacations.